Glamour Profession is back at it again! We’ll be moving and grooving the city of Ottawa with decades’ worth of fun and infectious Steely Dan tunes, all the way through the ’70s, ’80s, ’90s and ’00s! And in the process, our top-flight ten-piece band will play hits like Do It Again, Rikki Don’t Lose That Number, Josie, Peg, My Old School, and many other funky fan favourites. Tickets $33 (Incl taxes and fees) available for purchase here or at 1-888-790-1477 (add’tl fee per phone order). Get your tickets early — we often sell out in advance. Surrender to the captivating grooves of live Steely Dan music — played the way it’s meant to be heard and experienced! Our repertoire keeps growing and our big sound keeps getting better! Our top-flight, eleven-piece band will showcase the very best of Steely Dan’s music, as performed by musicians who have graced the stage with the likes of Aretha Franklin, The Temptations, The Funk Brothers and many other international artists. You’ll hear Steely Dan’s signature fusion sound of rock, jazz, blues, and funk in classic hits such as Rikki Don’t Lose That Number, Reelin’ In the Years, Peg, Josie, Hey Nineteen, and many more. Tickets available online or at 613-580-2700. Purchase your tickets here. We received more great Kudos from our amazing audience! And there were many more kind comments… It was a pleasure to perform for such a wonderful audience! Keep checking our website and Facebook page for announcements about our next show. It will be a blast for everyone! 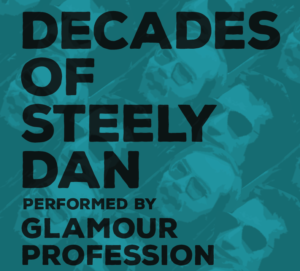 Featuring all the tracks from Steely Dan’s seminal album, Aja, + other great hits. Click here to get your tickets now before they are sold out…again. Our concert scheduled for January 22, 2016 at the Shenkman Theatre at 7:30 PM is sold out.